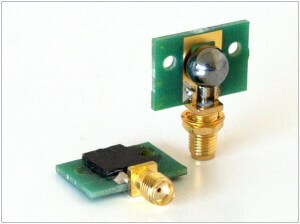 Ultrafast detectors by TeraSense consistently demonstrate response time of less than 150 ps. This was confirmed by direct observation of its impulse response function. The detector was excited by 200 nJ 1 ps laser pulse with a broad spectrum ranging from 0.1 to 3 THz, and its response was recorded by a high speed oscilloscope. The response function shows rise and fall times of 150 ps limited by the oscilloscope 4 GHz bandwidth. 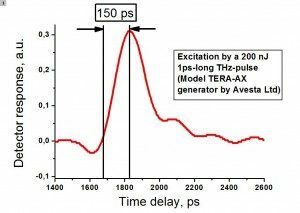 The measured short response time makes it possible to use our detectors for straightforward investigation of fast transient processes in THz-science and telecommunication. TeraSense® detectors are sensitive in a wide frequency range. However their frequency response is not continuous, but consists if multiple bands (peak structures). Positions of the peaks in responsivity curve can be tuned at manufacturing stage to suit specific client’s requirements. 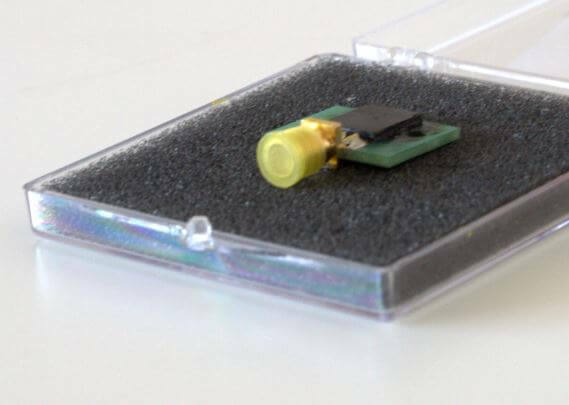 Our ultrafast high-sensitive sub-THz detectors are meant for exploring fast-changing and transient sub-THz signals and impulses. 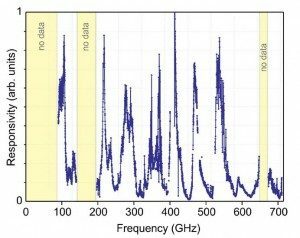 Terasense detectors are actually expediting the advent of ultra-high-speed wireless telecommunication networks that is about to happen in the nearest future. Terasense ultrafast detectors are also an ultimate tool for characterization, calibration and tuning of impulse sub-THz sources.